Birahima is ten years old when he becomes a child-soldier. After his mother’s death he travels to Liberia to find his aunt but on the way there he gets caught up in rebel fighting and must become a child-solider in order to survive. I found the way Allah is Not Obliged was written was unlike anything I’d really read before. It’s from Birahima’s point of view and it really feels like a child is telling the story. There’s lots of long sentences, as if he’s gotten excited, there’s a lot of repetition of sentences in the space of a couple of paragraphs, and he often stops to explain something mid-sentence or goes off on a tangent. There’s also the brutal honesty that comes from a child. He talks about how he and other child-soldiers are high, they don’t have a lot of food, the way they are in danger; it’s all just a fact of life for him and he tells his story with more wisdom and humour than any ten-year-old should have. 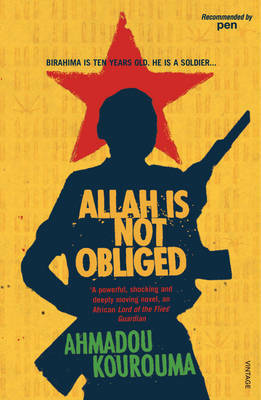 Allah is Not Obliged is set in the 1990s and it blurs the line between fact and fiction. I didn’t google every single name of the war lords and rebels Birahima mentions, but I definitely noticed that the first half of the book there seemed to be more fictional war lords, whereas in the later half of the book, it got quite detailed about what happened in various coups, and the war lords and politicians involved. In the second half of the book, those people Birahima named, were real people. This gave me an insight into West African history that I knew next to nothing about. Birahima’s story takes place in a number of countries on the West African coast. He gets caught up in different conflicts in Côte d’Ivoire, Liberia and Sierra Leone as he travels back and forth, trying to find his aunt while also trying to stick with the men who appear more powerful and therefore are more likely to keep him safe. Allah is Not Obliged doesn’t shy away from the brutalities of war and because how Birahima’s voice is so knowledgeable and factual about the whole thing, it’s easy to forget he is a child. One thing’s for sure, this book definitely shows how the children who become child-soldiers are forced to grow up very quickly, but at the same time, don’t fully understand everything that is happening around them. While Allah is Not Obliged is a reasonably short book at just over 200 pages, I found it to be a slow and often dull read, especially towards the end of the book when it got quite dense with the more fact-heavy stuff. it was never a book that I felt compelled to pick up again as the Birahima’s meandering story never really pulled me in. 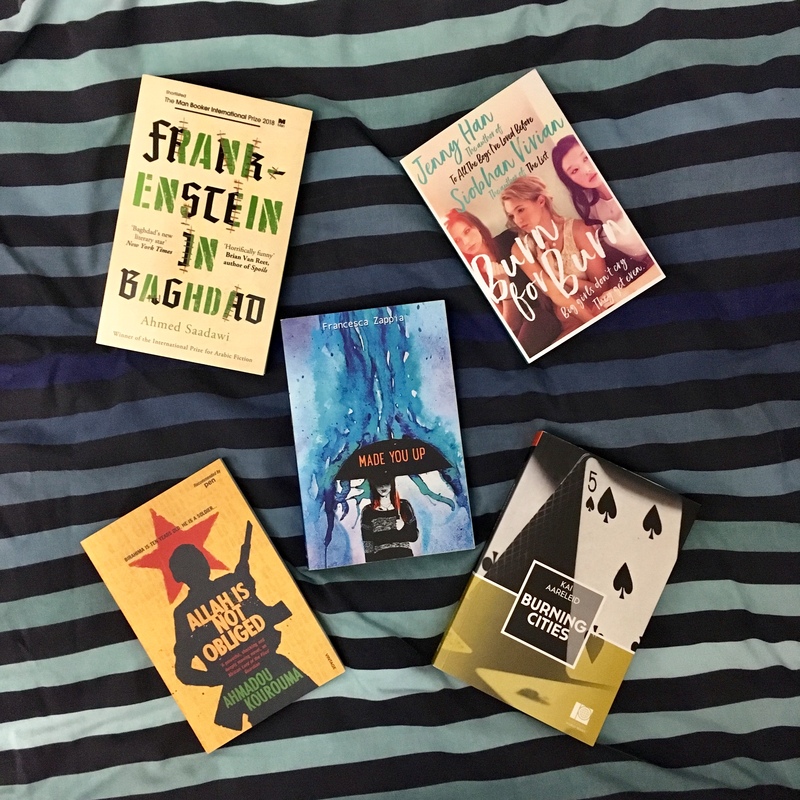 It has an interesting writing style, with Birahima’s voice shining through almost constantly, and it has a weird blend of the brutalities of war and the dark humour these young people have to embrace in order to stay somewhat sane.